Then the screen begins a slow flicker, alternating between that black screen and the proper map screen. Now, it wouldn't be that bad if I could just get back to the race and resume playing, but the big problem is that after accesing the map I'm left with a horrible video lag. 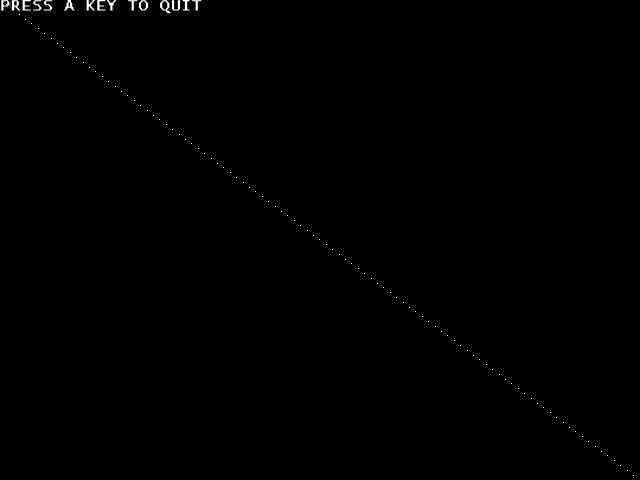 It takes almost 3 seconds for any keypress to reflect on the screen. That renders the game unplayable. I'm testing on a laptop using nglide 0.92 and these are my specs: Windows 7 ultimate 64bits, Intel Core 2 Duo P7450 processor with Intel 4500GHD integrated graphics. On a side note, this bug doesn't happen on my main rig (XP 32bits with NVIDIA Geforce 9800GTX). Hi there, thanks for testing. I've tested C2 on Windows 7 Ultimate 32-bit and 64-bit version and the game (map screen) works fine on GF9800GT. 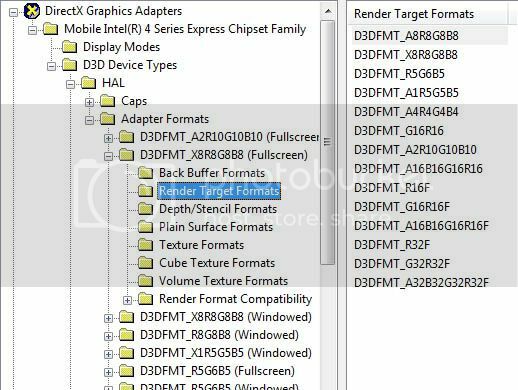 So, it seems to be Intel Integrated Graphics fault (yes, they sell their chips as DX10 compatible, but the most are not even DX9 fully compatible). To make sure we must do some tests. 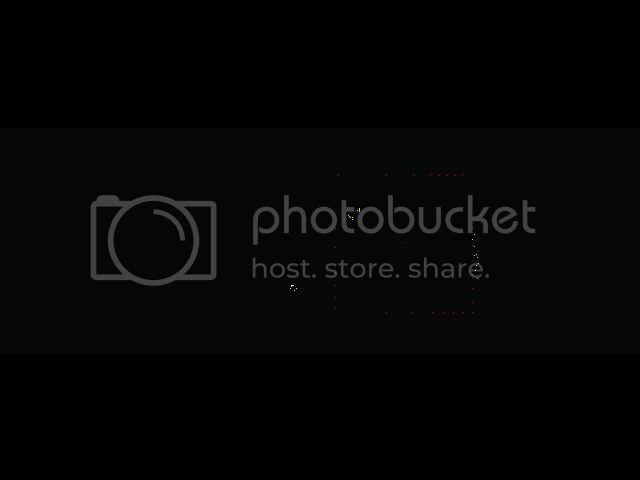 Please download this archive and run all 5 tests. In the first test you should see white line like in this screenshot. 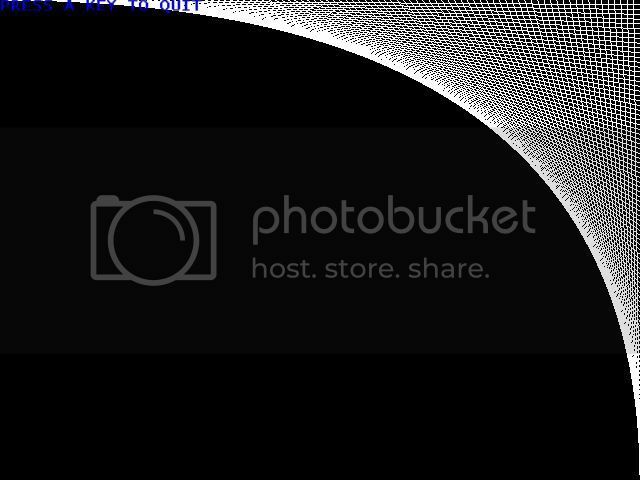 In the second test you should see white mesh in top right corner like in this screenshot. 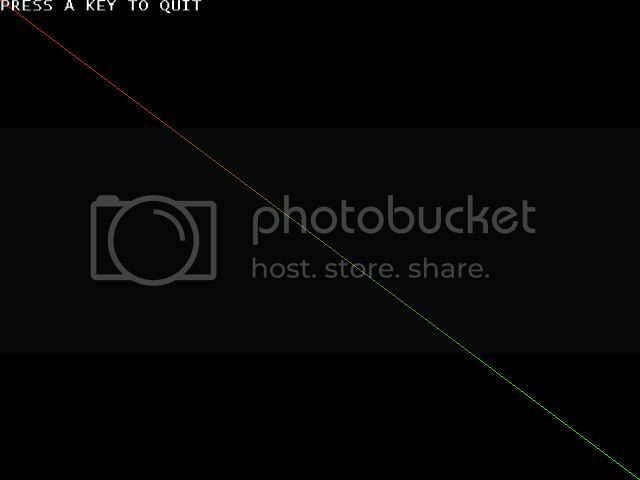 In the third you should see red(top left)-green(bottom right) line like in this screenshot. 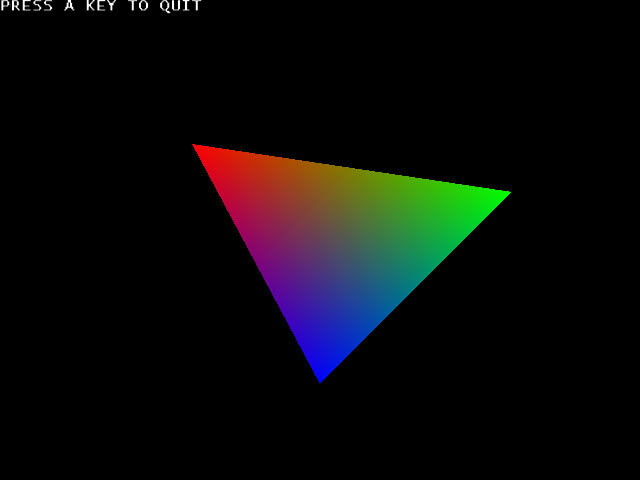 In the fourth you should see red-green-blue triangle in the center like in this screenshot. In the fifth test (test12.exe) you should see blinking 3Dfx texture like in this screenshot. EDIT: Oh god, what's wrong with me, I had another typo, my card is a 4500MHD, here's the product page at Intel's so there's no mistaking this time. 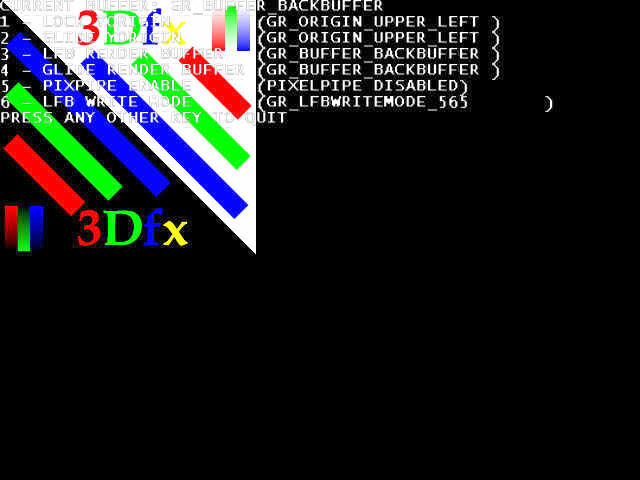 In Test 12, 3Dfx texture should be visible when 'back buffer' text appears, and hidden when 'front buffer' text appears. But pressing '3' key inverts the situation. Texture should be visible for 'front buffer' and hidden for 'back buffer'. Also, I've added test11.exe and test26.exe to zip file. Both tests should produce 'Passed readback test' text (test11, test26). Yup, test12 behaves just like you describe. 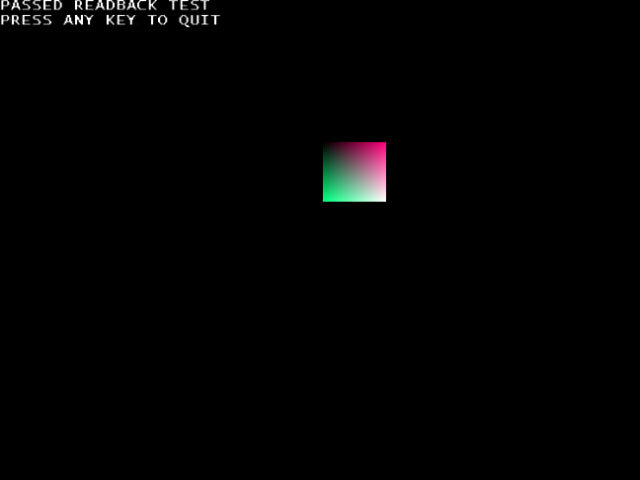 In Test11 I get the colored squares appearing at seemingly random places, more and more every time, but I get "failed readback test". The text is blinking, i.e. some screens have the squares but no text. There was no test26 in the new ZIP. more and more every time, but I get "failed readback test"
So we know there's something wrong with linear buffers. Test26 probably confirms this. Sorry, fixed. Also added DXCapsViewer. After test26 run 'DXCapsViewer.exe' and go to: "DirectX Graphics Adapters\GRAPHICS_CARD_NAME\D3D Device Types\HAL\Adapter Formats\D3DFMT_X8R8G8B8 (Fullscreen)\Render Target Formats" and look at the list. 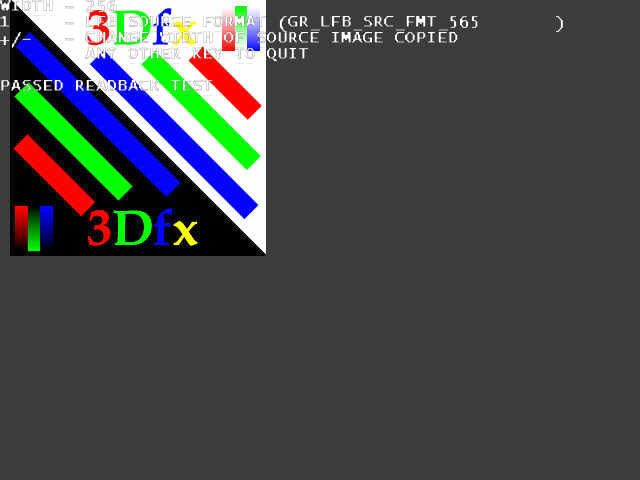 Are there 'D3DFMT_R5G6B5' and 'D3DFMT_X8R8G8B8' formats? Zeus wrote: Are there 'D3DFMT_R5G6B5' and 'D3DFMT_X8R8G8B8' formats? In Test26 there's the 3dfx logo moving from left to right on a gray background and I get "passed readback test". In case it's important I cycled thru all the "LFB source formats" by pressing 1 and in some steps I get said moving logo (565, 555, 1555, 888, 8888, 565_DEPTH, 555_DEPTH, 1555_DEPTH), in step ZA16 I get only gray background and no logo, and in 7 other steps instead of those numbers there's the text "invalid format" and there's no logo either. "Passed readback test" only appears on the first step (565). I can post pictures if that wasn't clear enough. Test26 is ok, CapsViewer and the others too. The only failed test is Test11. I've made a small unofficial wrapper modification (only for tests) and sent to your email. Uninstall nGlide 0.91 and copy glide2x.dll to test11.exe and carmageddon2 directory. Post me if there's any difference with original version. The new glide2x.dll produces "passed readback test" on test11 but it worsens the situation in Carmaggedon2. Now the start menu won't show up properly. 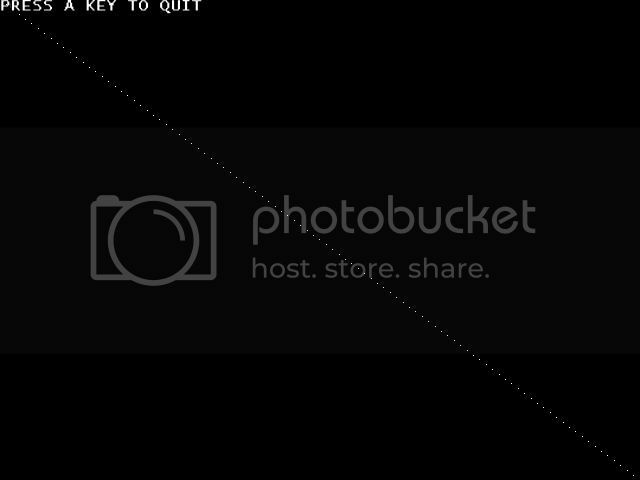 There's only the background picture and the gray boxes where the text and options should be displayed are empty and flicker rapidly. The cursor also shows up leaving an endless trail when moved around. Can't post a picture, I tried to capture the screen but it shows completely black when pasted. I can still get past the menu by pressing enter, in-game everything is the same as before, the game works and looks fine but the map issue remains. EDIT: BTW I forgot to mention that your 0.91 installer produces menu shortcuts pointing to C:\Windows\System32, but the actual files get installed in C:\Windows\SysWOW64. At least this is what happens under Win7 64bits. OK. Next test . Download archive once more and run ST.exe. Test should show two 'OK' messages. Thanks for the info. It will be fixed in the next official release.